If the Brett Kavanaugh confirmation hearings have taught us anything, it’s that the #Resistance will obstruct the Trump agenda at all costs. Faced with a Supreme Court nominee whose qualifications are only matched by his calm demeanor, we’ve seen Senate Democrats make baseless accusations, encourage radical, left-wing protesters, and even break congressional rules to score political points — all designed to “bork” Judge Kavanaugh. The likes of Democratic Sens. 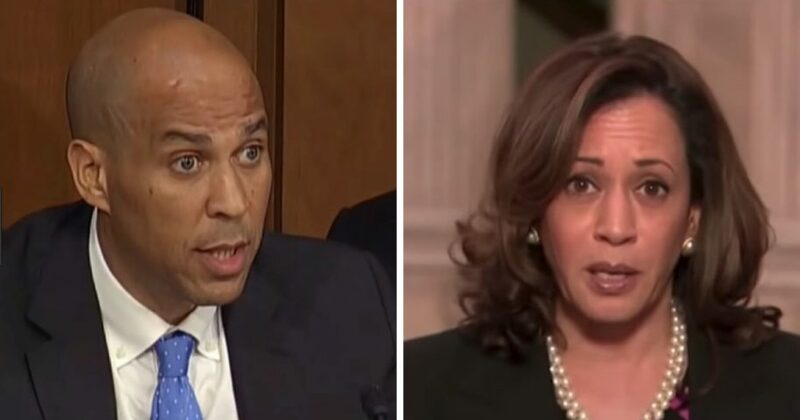 Cory Booker and Kamala Harris seem more preoccupied with compiling pithy soundbites for a 2020 Democratic primary than assessing Kavanaugh on the merits. Lines like, “I am Spartacus” might resonate with Hollywood donors and Iowa primary voters, but do little to advance our political discourse. But you can excuse Democrats for obstructing the Kavanaugh confirmation. After all, the left’s #Resistance fighters in Congress have sought to undermine President Donald Trump since Inauguration Day, standing in the way of economic growth, border security, healthcare reform and other top priorities. Spitting in the face of the 63 million Americans who put their trust in Trump, anti-Trump Democrats continue to ignore the issues that propelled a Republican to the White House in the first place. What’s less excusable is the left-leaning mainstream media’s own commitment to anti-Trumpism, which the Kavanaugh confirmation hearings have brought to light yet again. Of course, there are the anti-Kavanaugh headlines that flood the front page and dominate Google searches on a daily basis. But the liberal media’s lack of objectivity runs even deeper. Anti-Trump news outlets are now making martyrs of the protesters who insist on disrupting the Kavanaugh hearings (by “disrupt,” I mean shouting, getting arrested, shouting some more, getting arrested again, and then agreeing to fawning media interviews.) Instead of treating the aggressive picketers as the petulant children they are, the liberal media has decided to glorify them as freedom fighters taking a stand against some evil dictator. Again, CNN takes the cake here. Last week, the news outlet decided to publish a feature story — titled “Meet the Protesters Interrupting Brett Kavanaugh’s Confirmation Hearing” — explaining the #Resistance’s disruption strategy and highlighting the disruptors making it all possible. She’s not alone. More than 200 “storytellers” have been arrested in the last week alone. Many of them were charged with disorderly conduct, crowding, or obstructing, and forced to pay fines of $35 or $50. In what bizarro universe are we now celebrating them? Can you imagine the shoe on the other foot? Can you imagine if pro-life activists had disrupted President Barack Obama’s campaign rallies or Justice Ruth Bader Ginsburg’s confirmation hearings to the point of arrest? Or if police officers — opposed to the Black Lives Matter movement — shouted them down on Capitol Hill? The terms “radical,” “right-wing,” and “militant” would make the rounds in a heartbeat. Today, criminal protesters are “storytellers” simply because they’re anti-Trump. It’s no wonder nearly two-thirds of Americans — Democrats and Republicans — believe the mainstream media amounts to “fake news.” The more the liberal media disgraces itself, the worse their Democratic allies will perform in November. If the Kavanaugh hearings are any indication, disgrace is just another day at the office. Guy Short (@Shortguy1) is a former congressional chief of staff, six-time Republican National Convention delegate, and Republican strategist with over 25 years of experience in politics.